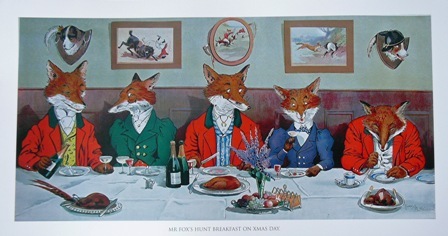 This ever popular print of the foxes eating pheasant and drinking 'Renard' champagne on Christmas morning all dressed for hunting. 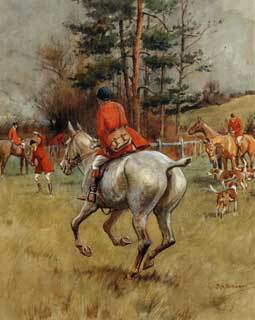 The pictures on the wall showing hunt scenes, but the fox's role is reversed, he is the hunter. Every kitchen should have one!! The print measures 610x325mm 24x13ins. It is sold here rolled. There is an option to have it framed.